C-GDYT cleared for "push back". 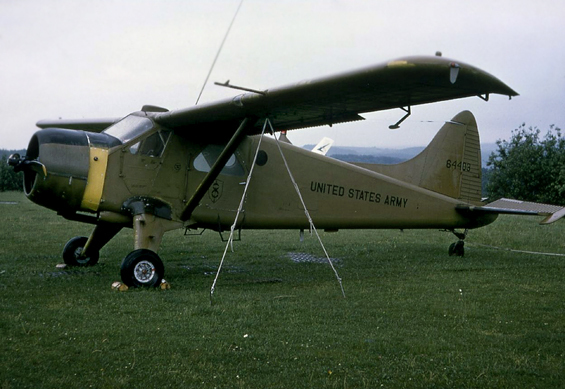 Served with 22nd Aviation Detachment. 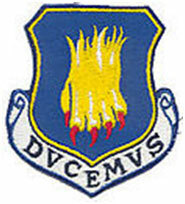 Emblem of 22nd Aviation Detachment. • 56-4403 For sale at Coleman Barracks, Mannheim - Sandhofen, Germany. Seen 28-Aug-1972. • No regn. Purchased by B & M Aviation Ltd., Lachute, QC. 01-Apr-1973. 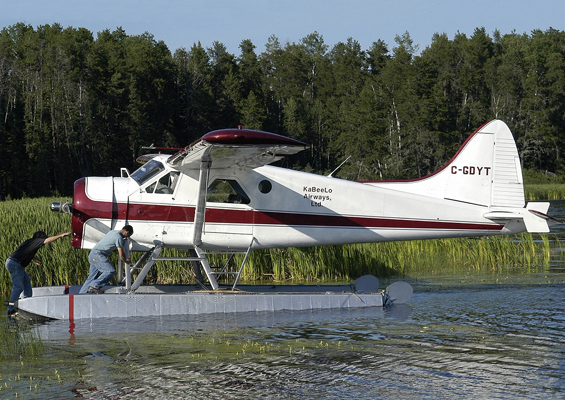 • C-GDYT Orillia Air Services Ltd., Orillia, ON. Purchased 30-Sep-1976. Regd. May-1977. Note: Purchased by Orillia Air Services in an “as is” condition for £16.000. ????? 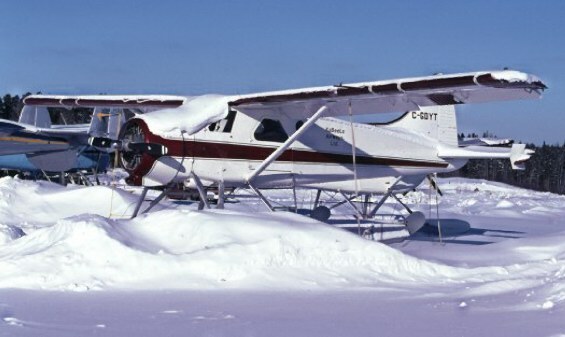 • C-GDYT Nor-Land Aviation Ltd., North Bay, ON. Regd prior to Certificate of Airworthiness renewal dated 25-Apl-1978. Canx 08-Jun-1978. 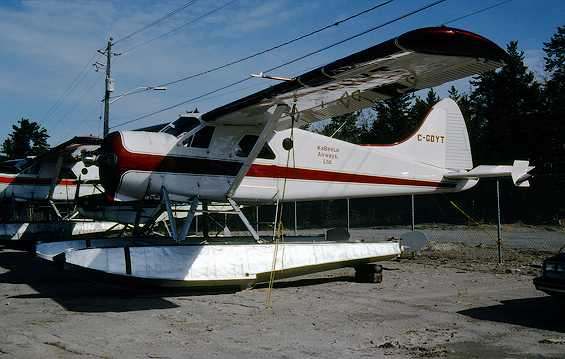 • C-GDYT Kabeelo Airways Ltd., Confederation Lake, ON, later Ear Falls, ON. Regd 08-Jun-1978. Re-regd 30-Jun-1989. Based at Ear Falls, ON.